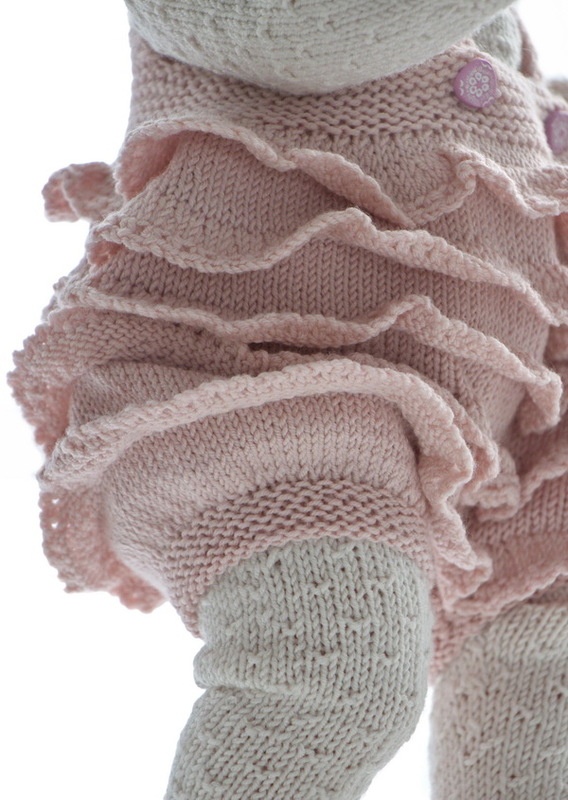 First I knitted the summer-skirt. ... and on the yoke. It is buttoned on the shoulders with blue buttons. 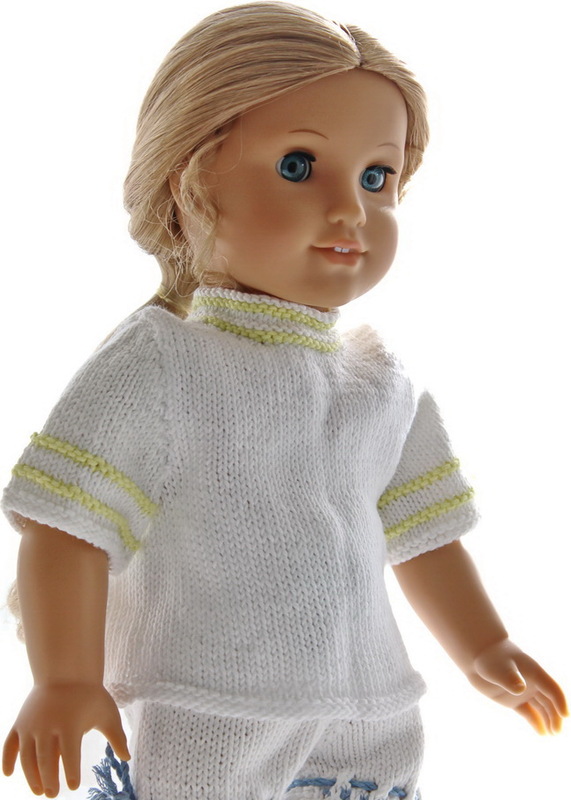 Then I knitted a short sleeves sweater (blouse) in white. 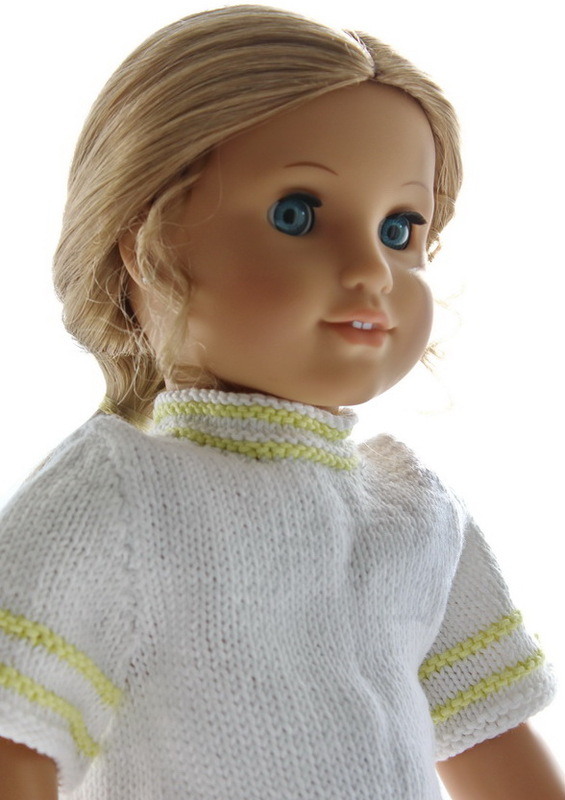 The sweater has stripes in lime around the arms and around the neckband. This sweater was perfect together with the summer-skirt. 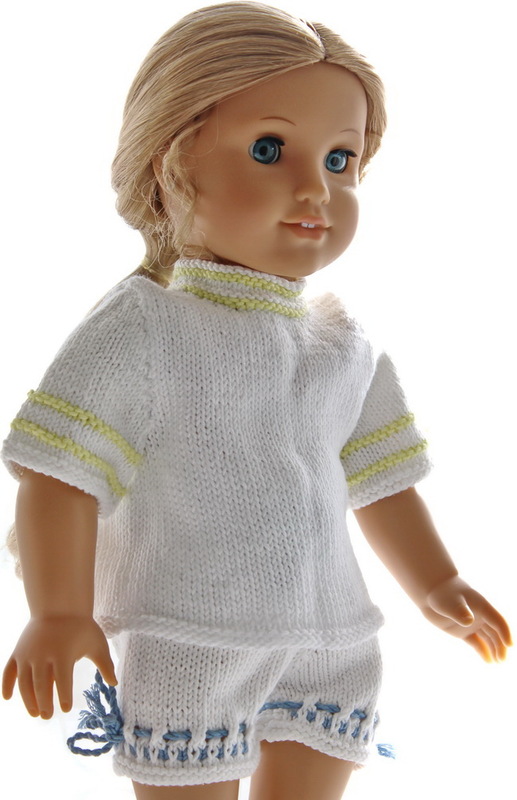 The skirt can as well be used without the sweater on a warm summer day. It is buttoned at the back. Then I knitted pants. The pants have a blue pattern around the legs and a row of eyelets above the pattern. Then I made chords and pulled them through these eyelets and around the waist. 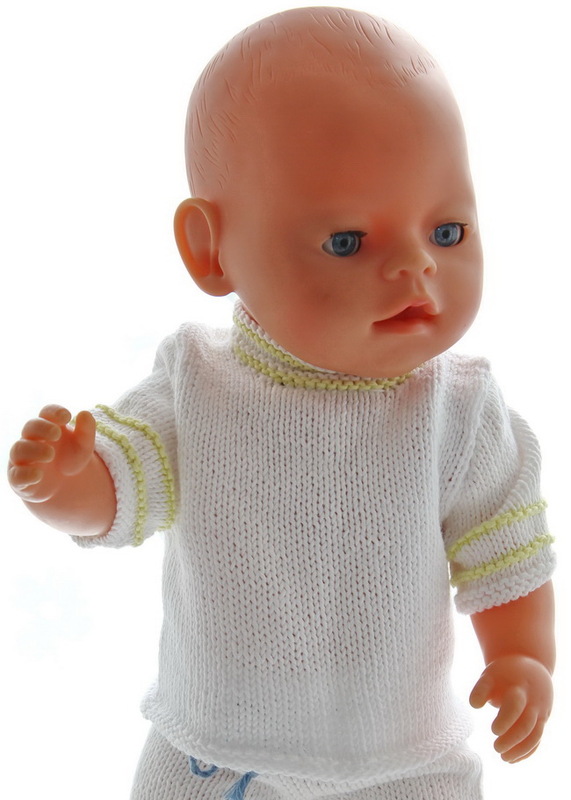 These lovely pants are knitted in cotton yarn. 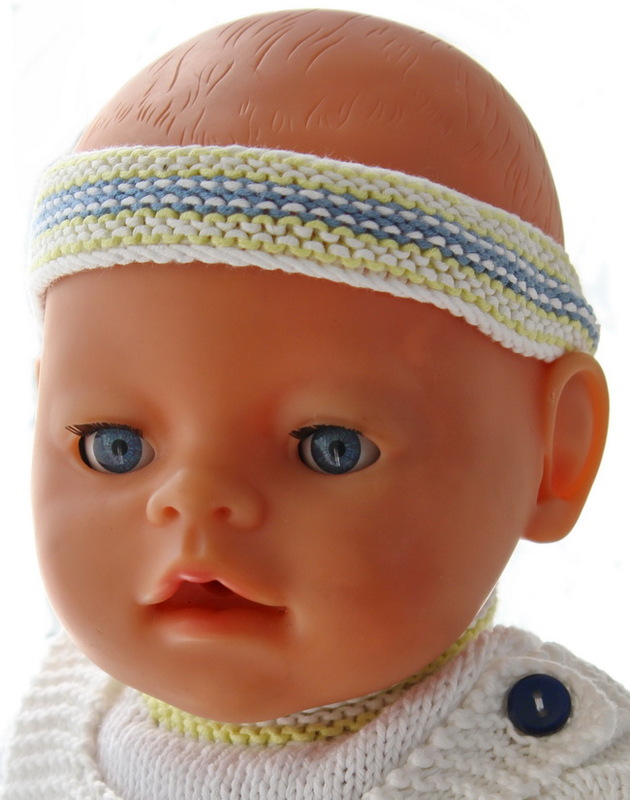 The hairband is knitted in stripes in garter sts in the same colors. It is bound tog at the back with lime bands crocheted on each side. ... of simple white knee socks. 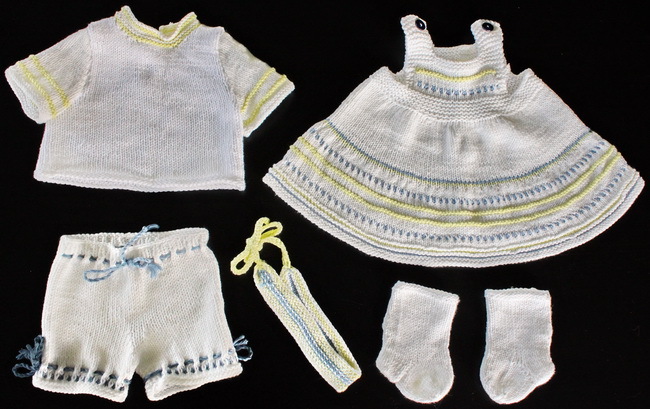 Your doll will be beautiful in these delightful summer clothes.